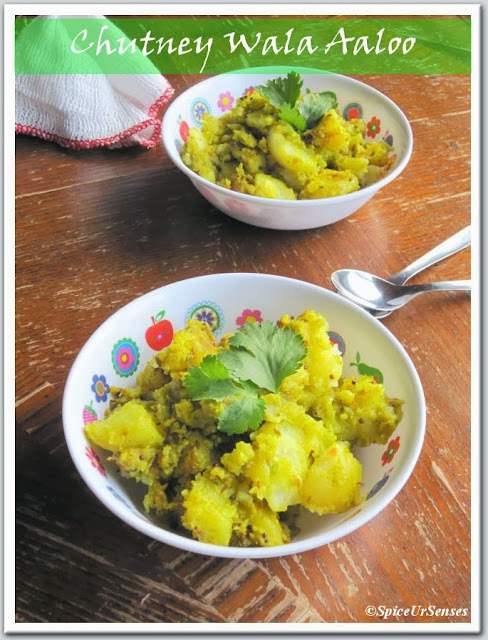 Chutney Wala Aaloo... This is very famous dish in UP and Bihar states in India, almost in every house this would be the morning break fast with pooris... Already I have 2 or 3 posts of different version of this dish, but I cook this often, because of the garlic taste in it.. In my opinion this dish should be eaten when you have nothing to do, just sit in one place and eat. I'm telling you, you will eat more then 4 to 5 pooris with this sabji. Usually my H wants me to cook this on weekends so that he can enjoy slowly and he don't have to rush to office after eating... This can be served as a side dish or even as a starter or snacks.. 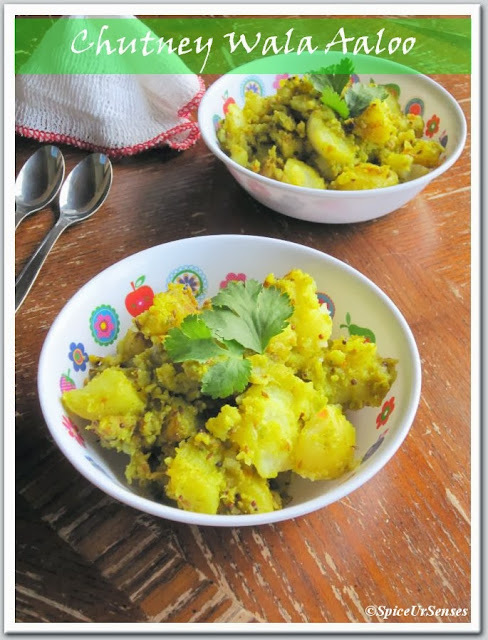 In a blender, add garlic, coriander leaves and green chillies and grind it to a smooth paste, by adding little water. In a deep frying pan, add oil, mustard and cumin, when they splutter, add grounded paste and turmeric and fry for 2 to 3minutes. Then add turmeric and salt, fry for another few sec. 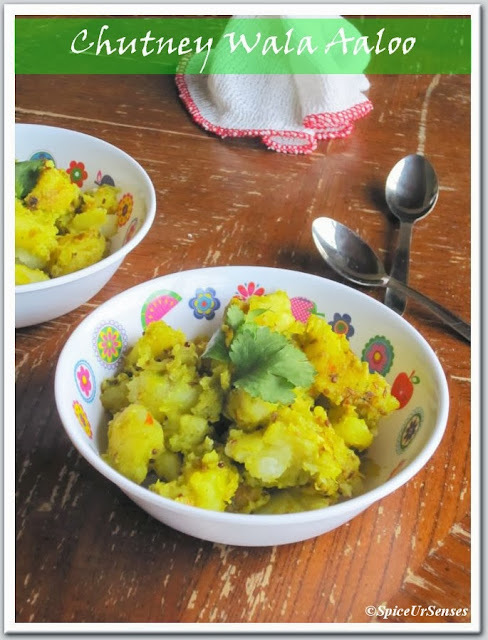 Now add the boiled potatoes and mix them gently and cook till the potato are mixed well with everything, that will take about 3 to 4 minutes.. Sprinkle some more chopped coriander leaves on top. 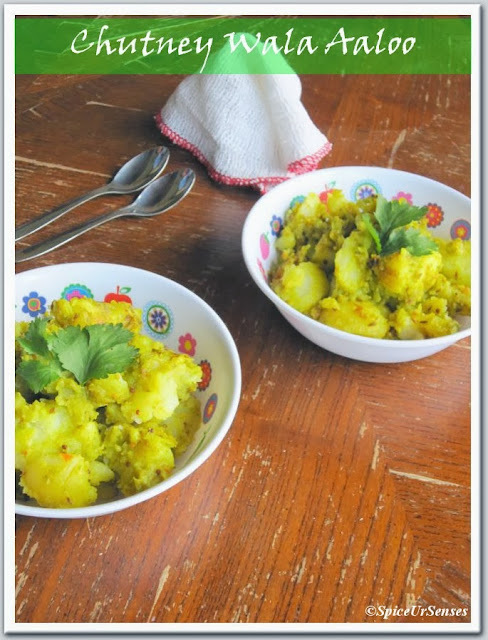 Serve hot with Pooris, Roti's or as a Starters. love these spicy ones with phulkas..
You picture itself speaks a lot, can guess how flavourful this dish will be. 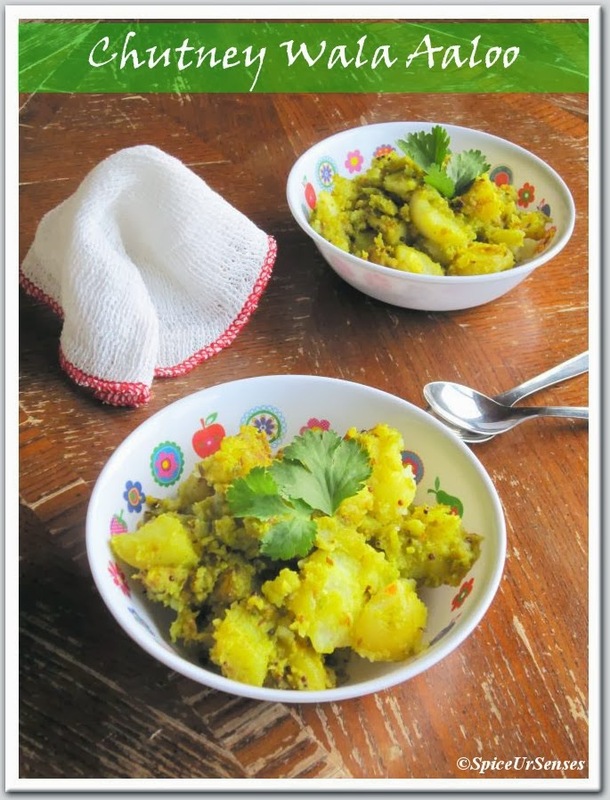 Delicious aloo great with chapthi. 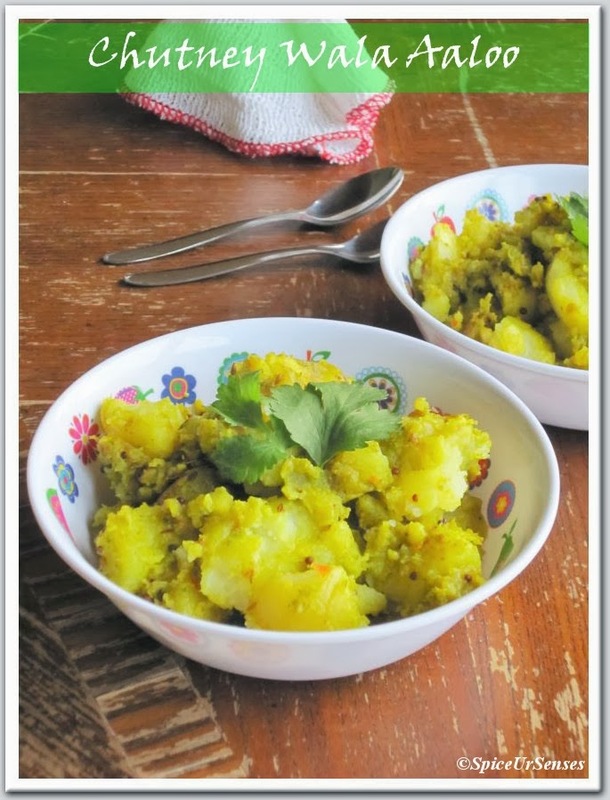 luv d cliks n tempting aloo,even though iam not a lover of aloo..